From Goodreads ~ Take a journey through notable cases in Canada’s criminal justice history, featuring well-known and some less-well-known figures from the past. You'll meet Arthur Ellis, Canada’s most famous hangman, whose work outfit was a frock coat and striped trousers, often with a flower pinned to his lapel. And you will also encounter other memorable characters, including the man who was hanged twice and the gun-toting bootlegger who was the only woman every executed in Alberta. 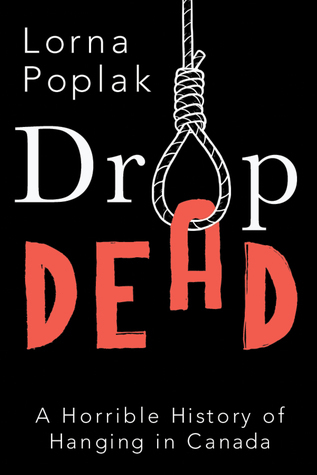 "Drop Dead: A Horrible History of Hanging in Canada" illustrates how trial, sentencing and punishment operated in Canada’s first century, and examines the relevance of capital punishment today. Along the way, learn about the mathematics and physics behind hangings, as well as disturbing facts about bungled executions and wrongful convictions. A book focused on hangings in Canada sounds like a weird topic, right? But it was actually quite interesting. The book covers the hangings starting in 1867 when the British North American Act established the Dominion of Canada and ends when capital punishment was abolished in 1967. In total, there were 704 people hanged in Canada during these years and in this book are stories are the first and last men to be hung, the first and last women to be hung, the youngest to be hung, and many more. 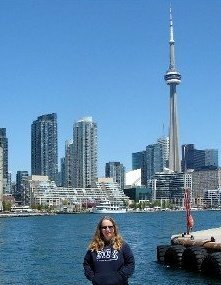 In addition, there are chapters dedicated to famous people such as Thomas D'Arcy McGee, who had been murdered, and Louis Riel, who had been hanged. There is a chapter on Arthur Ellis, Canada's most famous hangman. There are chapters dedicated to those who had been on death's row such as Stephen Truscott (who has since been acquitted). I liked the writing style of this book. There was lots of information but not too much.